This is the first of my compositions from an aerial viewpoint. 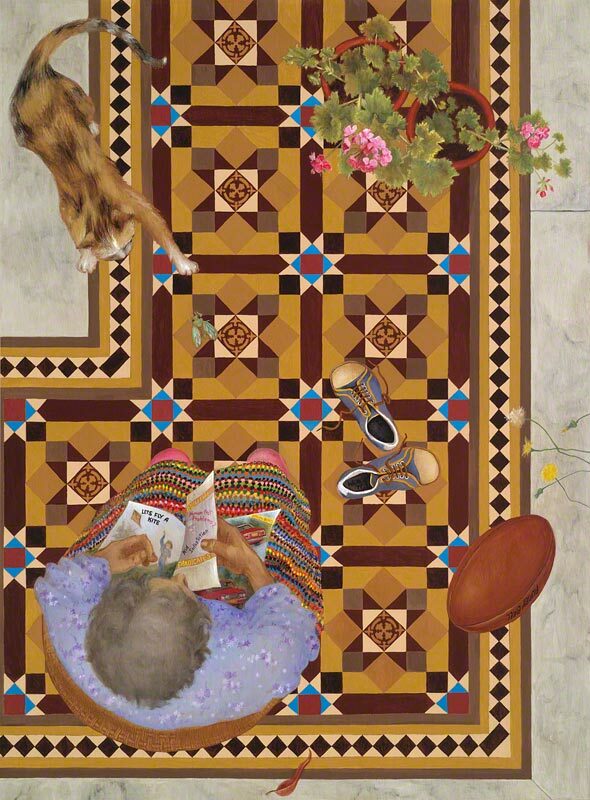 I paint the sizes of the figure, objects, and veranda tiles in the same proportion in order to avoid the distortions of conventional perspective in this view from above. In conventional perspective, such as that of photorealism, the hands would appear disproportionately small compared to the head and the tessellation would be distorted.